Paramedics are invaluable in South Africa. Just seeing the high fatal road accident statistics every years, makes it clear that the country cannot do without qualified paramedics. Contrary to popular belief, paramedics don't just drive ambulances around all day. They are highly skilled medical care-givers, trained to give maximum care in an emergency situation. Qualified paramedics are on the same par as doctors and nurses, the only difference being that they are mobile. Since they respond to all types of medical emergencies, they can also be employed by various institutions such as hospitals, private medical institutions, armed response companies and even fire stations. Paramedics are not first-aiders. There is a common misconception in SA that first-aiders and paramedics are one and the same. This has led to many tragic deaths as most people refuse to be treated by a minimally skilled first-aider. The standard deviation of salaries for the results of this search is 10,137. 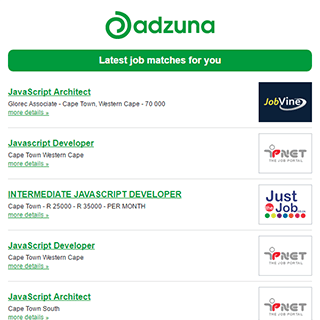 The Adzuna recency index score for this search is 1.40, suggesting that demand for Paramedic job opportunities in South Africa is increasing. Get the latest Paramedic Jobs in South Africa delivered straight to your inbox!